In Ireland, the rate of motor tax evasion is up to 10 times higher than that of the UK*. But the UK public is now under pressure to remember to tax their vehicle due to new tax rules introduced in October 2014. Carandus.com is here to help remind you when your motor tax is due. Some people pay their tax, annually, twice yearly, quarterly (Ireland) and even by monthly direct debit (UK only). The more often you pay motor tax, the more likely you are to forget especially if it’s not by direct debit and this could be one reason why Irish evasion rates are higher because there are less payment options. By law, if you don’t pay your road tax, you will be presented with a fine and if you don’t pay the fine you can be prosecuted. 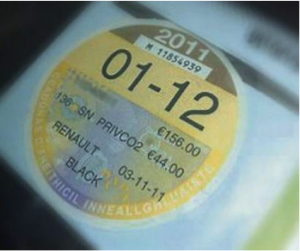 In Ireland you are also required to display evidence that you have paid (i.e., a current tax disc) on the windscreen of your vehicle whereas in the UK there is no tax disk anymore and vehicles are checked for Tax using Automatic Number Plate Recognition (ANPR) technology. Driving an untaxed vehicle on the road is a criminal offence and carries a maximum fine of £1000 in the UK with similar fines in Ireland. 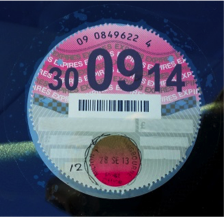 O ver 100,000 enforcement cases were created in the six months since the tax disc was abolished in October 2014, while the number of convictions rose by almost 50 per cent, Auto Express has reported after obtaining the figures from the DVLA UK. The number of out-of-court settlements issued for drivers without tax also nearly doubled in the same period. The figures show that 117,490 prosecutions or enforcement cases were made between October 2014 and March 2015, in comparison to 86,939 in the previous six month period when the traditional tax disc was still in use. Under the new UK system, the tax becomes invalid once the V5C paperwork has been processed when the vehicle is bought/sold and so the car must then be re-taxed. Ireland has yet to follow the UK system but there have been calls to do so. Car and us can help you to avoid any of the above situations! You just need to sign up with www.carandus.com or if you already signed up, then we will alert you when your tax is due. Increase the value of your car by up to 26%!